Visit Southern Indiana’s Clark and Floyd counties during the holidays to create new family traditions and lasting memories. Stroll through beautifully restored downtowns with festively decorated streets and nostalgic Christmas window displays. Skate at an outdoor ice skating rink, then watch candy canes being made the old-fashioned way. After enjoying coffee or a hot chocolate, select and cut your own tree, then drive through magical light displays. The cities of Clarksville, Jeffersonville, and New Albany sparkle at night, especially during November and December. Celebrate the holidays in style at Clarksville’s Derby Dinner Playhouse—one of the oldest and largest continually operating dinner theatres in the U.S. 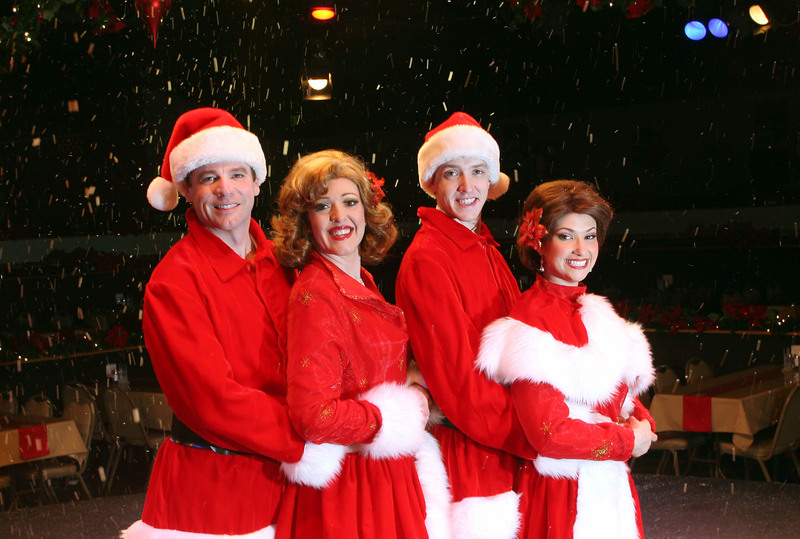 Starting Nov. 10, step into Irving Berlin’s “White Christmas.” Your children will delight in “Jack Frost Saves Christmas” on weekends in November and December. Your family will long remember a drive through Charlestown’s Greenway Park and town square during December. “Light Up Charlestown,” a month-long holiday light extravaganza, kicks off on Friday, Nov. 27. 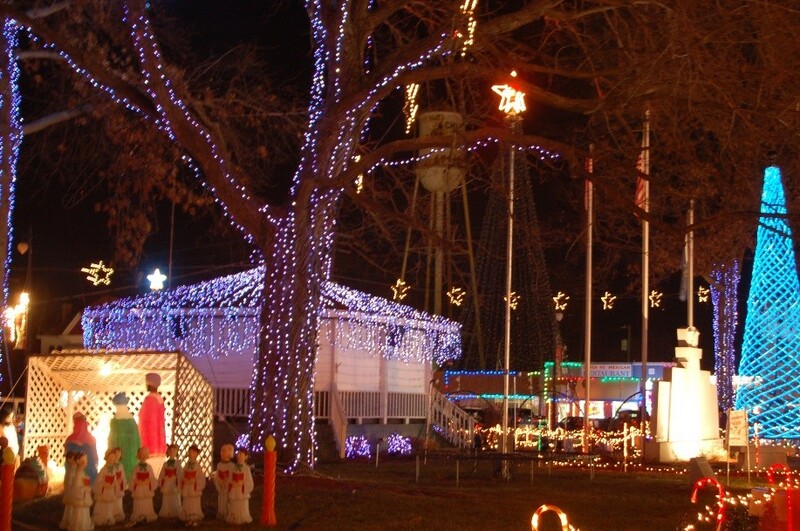 Complete with a 50-foot lighted Christmas tree, tunnel of lights, Santa’s house, and a Christmas parade, the town goes all-out with its annual music-synchronized, animated light display. Take a drive to beautiful Starlight, Indiana, where country farm and rural charm are synonymous with Joe Huber’s Family Farm & Restaurant and Huber’s Orchard, Winery, and Vineyards, both family owned and farmed since the mid-1800s. Bring your family and friends to Joe Huber’s for the made-from-scratch Thanksgiving dinner of turkey, dressing, cranberry relish, fried biscuits with apple butter, waldorf salad, real mashed potatoes, green beans, corn, and candied sweet potatoes, served every day in November. 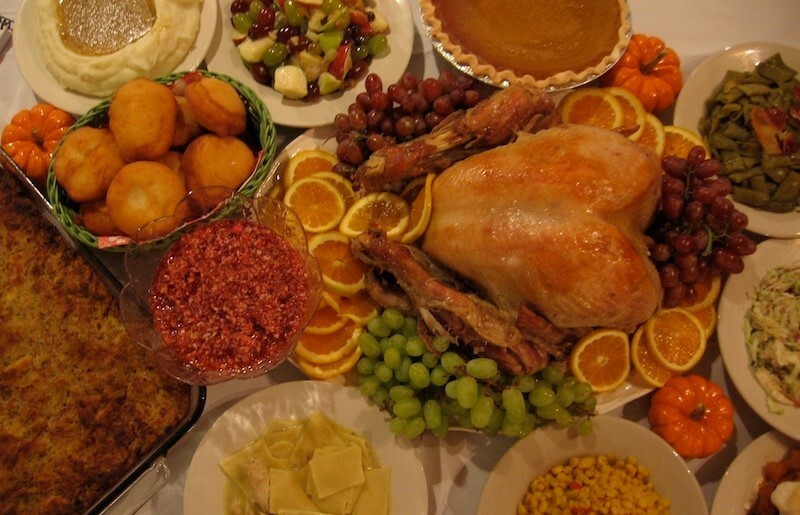 On Thanksgiving Day, enjoy the Thanksgiving Day Buffet. Family and tradition are also important with Huber’s Orchard, Winery & Vineyards. 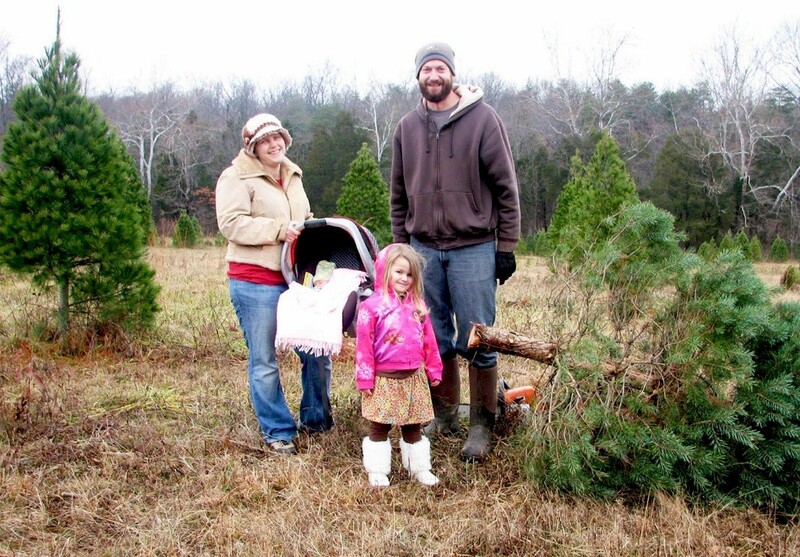 Beginning the day after Thanksgiving, you can sip steamy hot chocolate before venturing out to select and cut your own Christmas tree. Huber’s provides all the materials you’ll need! Afterwards, create custom-made gift baskets in the gift shop, or choose from prepackaged “Merry Christmas” or “Happy Holidays” apple baskets. For indoor fun, Huber’s offers music, wine tasting, and more on weekends. Bring the children so they can give Santa their wish lists on two of the holiday weekends. 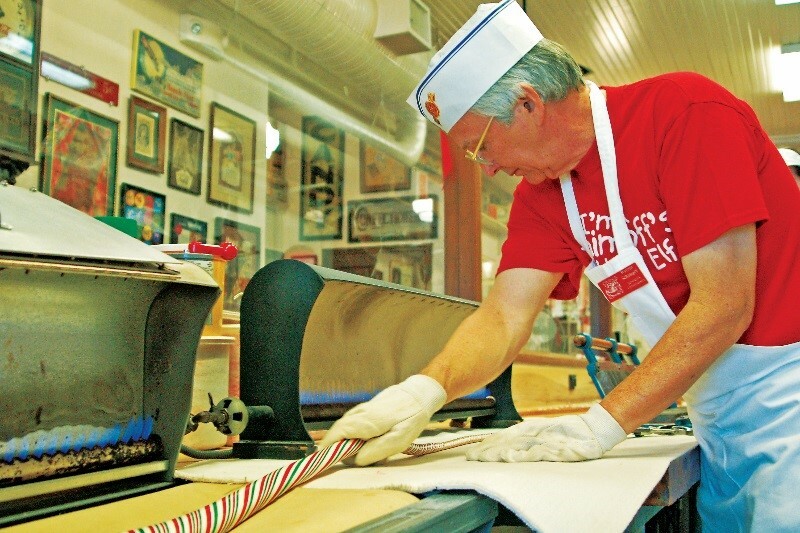 Warren and Jill Schimpff, Candy makers at Schimpff’s Confectionery and Candy Museum, become Santa’s Helpers during the holidays. Watch their candy ribbon making demonstrations on Friday, Nov. 27 and candy cane making on Saturday, Nov. 28. Warren continues his cherished 124-year-old family business using the same candy molds and copper kettles his third great-grandfather, Gustav Schimpff used. Schimpff’s still hand-dip its chocolates! Clap your hands and sing along to favorites at “Holiday Pops Spectacular: A 1940s Radio Christmas” on Saturday, Dec. 5, and Sunday, Dec. 6 at New Albany’s Paul W. Ogle Cultural and Community Center. 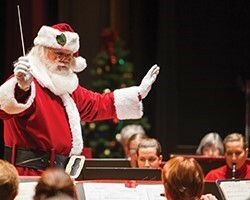 Join the orchestra, band, and choirs from IUS as they perform carols and traditional holiday favorites. And, Santa Claus will be there, too! Jeffersonville brings a small slice of the Big Apple to downtown. The corner of Market and Spring Streets is transformed into a “little Rockefeller Center” community ice skating rink. 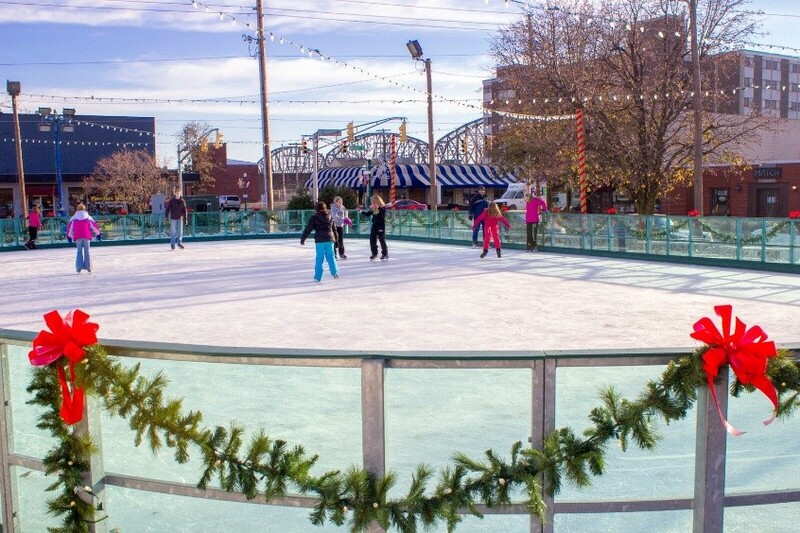 From late November to mid-January, ice skate, sip coffee and hot chocolate, and shop in “hipstoric” Jeffersonville’s boutiques, art galleries, and specialty shops. Downtown New Albany holds its annual “Holiday Fest and Jingle Walk” on Saturday, Nov. 28. This event includes holiday-themed activities at the YMCA, a scavenger hunt, wine tastings, and specials at New Albany’s chic downtown shops and restaurants. 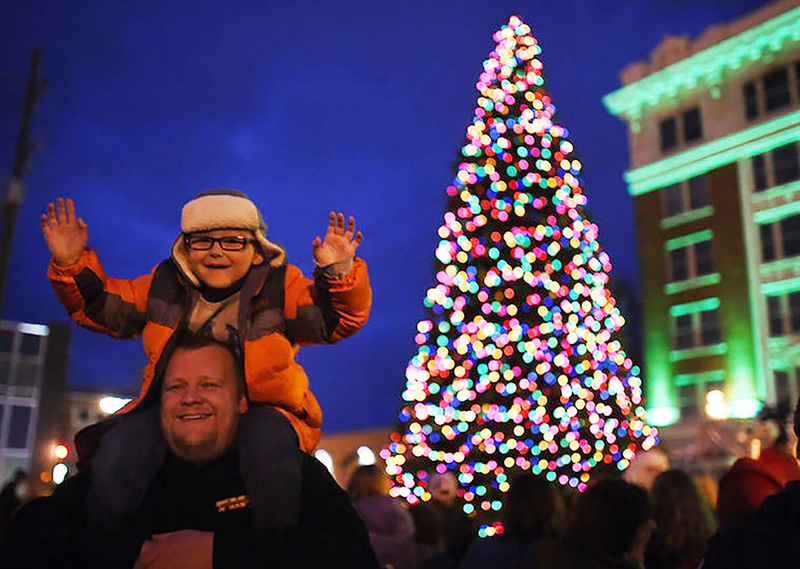 Round out the festive evening with the Christmas tree lighting in Bicentennial Park, and sing carols—just like families do in their own home. 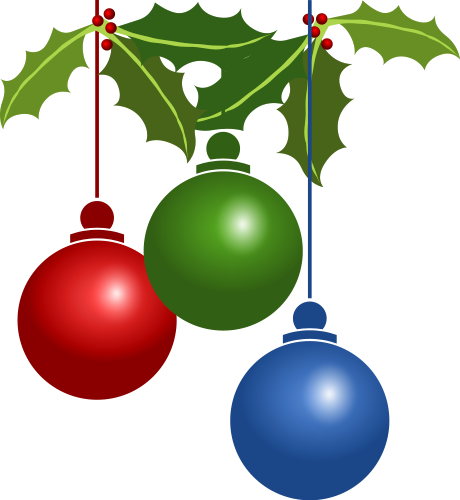 Visit our calendar for a complete list of holiday events.